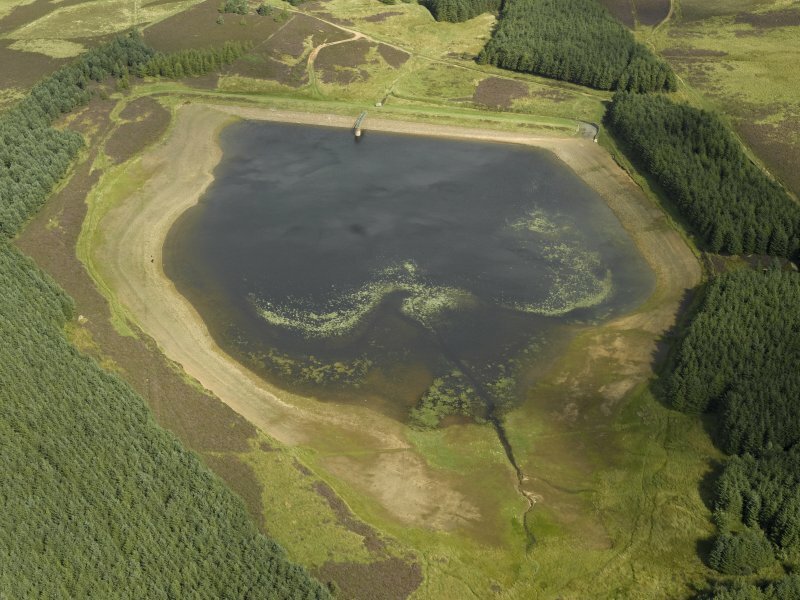 Oblique aerial view centred on the reservoir, taken from the ENE. 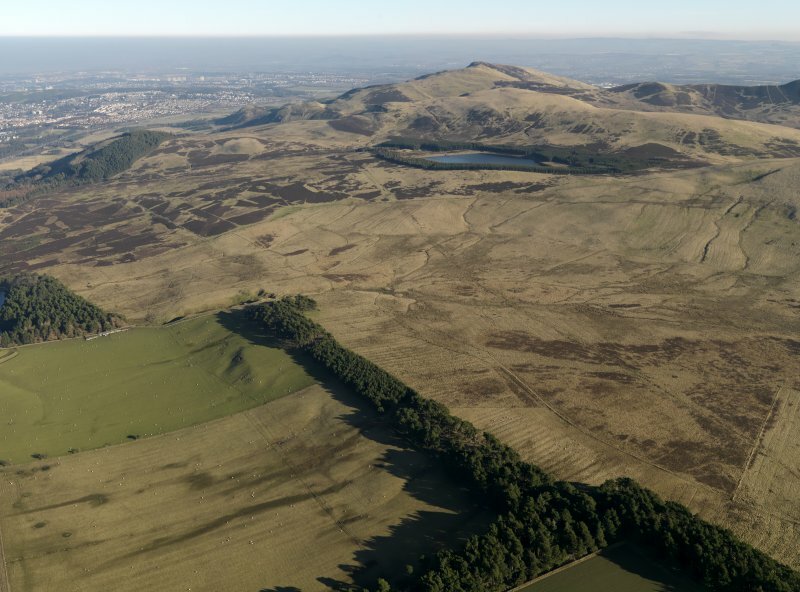 Oblique aerial view centred on the reservoir, taken from the S.
General oblique aerial view centred on the remains of rig and furrow cultivation on the the NW-facing slopes of the Pentland Hills with the remains of a fort adjacent, taken from the WNW. 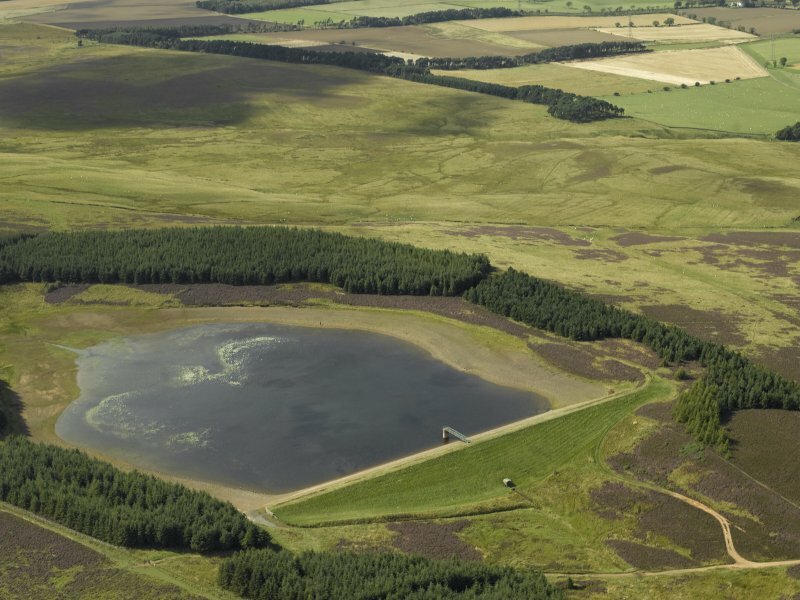 General oblique aerial view centred on the remains of rig and furrow cultivation on the NW-facing slopes of the Petlands, taken from the W.
Bonaly Reservoir is situated in a small wood on a shelf in the hillside, on the NW slope of Capelaw Hill at around 350 OD. 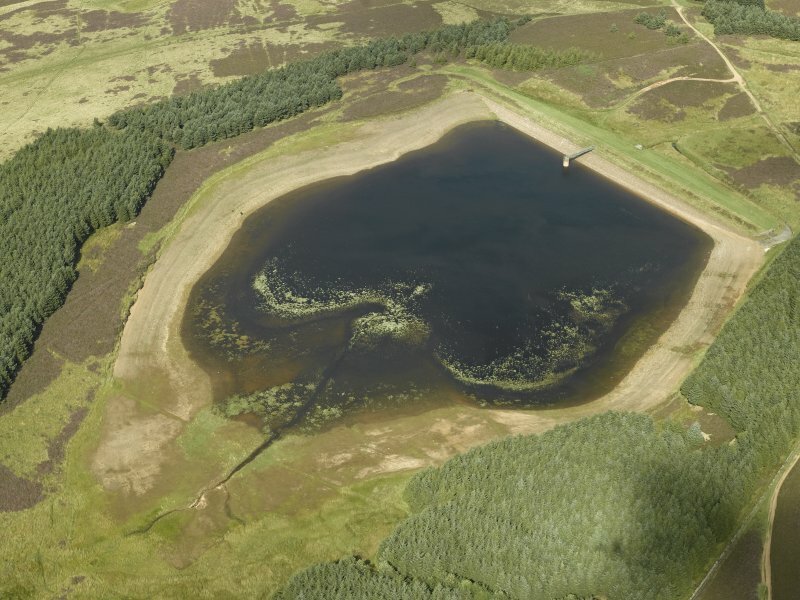 The reservoir has been created from the damming the Dean Burn. Semi-oval in plan with the dam at the NE end of the water. 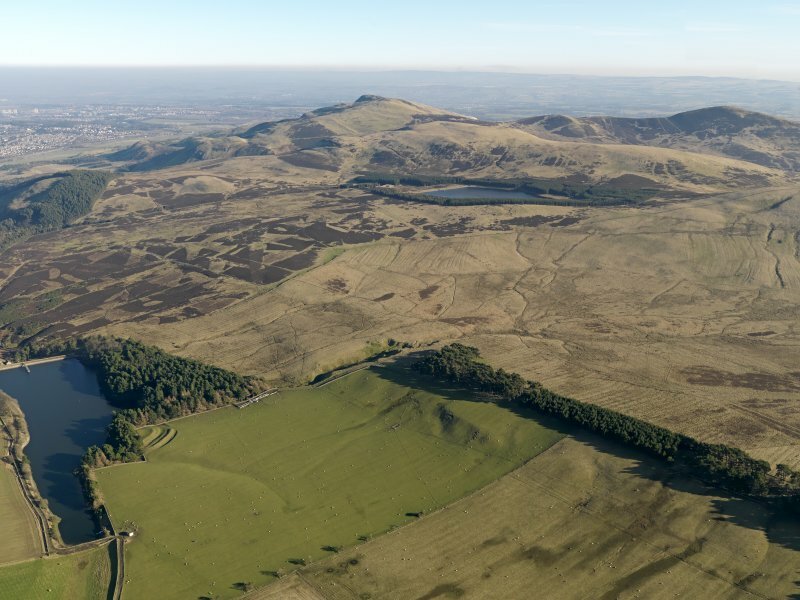 The reservoir dam is depicted on the 1st edition of the OS 6-inch map (Edinburghshire, 1854-5, sheet 12), but not the reservoir itself. However, by the date of the 1st edition 25-inch (ibid, 1894) the reservoir to the SW has formed. The depiction is annotated 'Edinburgh & District Water Trust'.